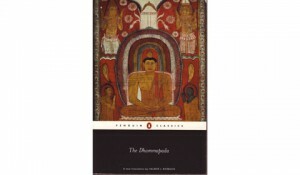 One of the best-known and best-loved works of Buddhist literature, The Dhammapada forms part of the oldest surviving body of Buddhist writings, and is traditionally regarded as the authentic teachings of the Buddha himself, spoken by him in his lifetime, and memorized and handed on by his followers after his death. A collection of simple verses gathered in themes such as ‘awareness’, ‘fools’ and ‘old age’, The Dhammapada is accessible, instructional and mind-clearing, with lessons in each verse to give ethical advice and to remind the listener of the transience of life. Valerie Roebuck’s new translation is accompanied by an introduction examining the language of The Dhammapada, its status as literature and the school of Buddhist teaching from which it comes. This edition also includes extracts from related texts from other early Buddhist schools, notes, suggested further reading and a glossary. Valerie Roebuck is a Buddhist, practicing and teaching meditation in the Samatha tradition. She is an honorary research fellow of the University of Manchester and author of The Circle of Stars: An Introduction to Indian Astrology.